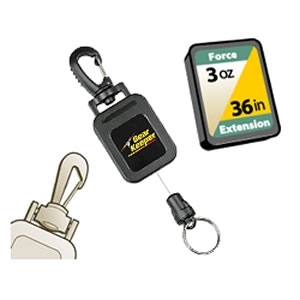 SPRING FORCE: Specified force when the cable is fully retracted (ie. 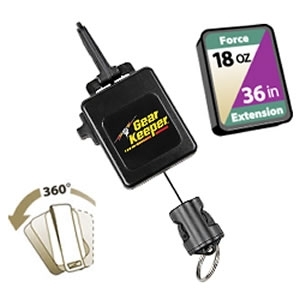 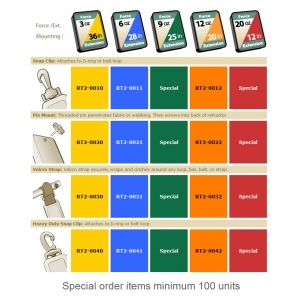 A 9 ounce Gear Keeper will retract and hold a 9 ounce item). The spring force slightly increases as the cable / line is extended.